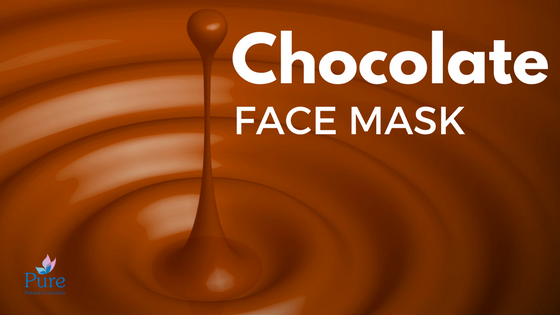 Why only eat it when you can have a yummy Chocolate Face Mask? Sometimes you need a sweet comfort…of course you can eat chocolate but why not use it for a beauty boost? chocolate is made from cocoa beans, a great source of polyphenols, which happen to have beneficial antioxidant properties. On top of that, chocolate also contains some healthy fats such as shea and cocoa butters, which help to moisturize our skin while also packing a big anti-inflammatory punch. Mix all your ingredients together until you have a nice paste, then evenly apply it to your face and let the mask sit and soak into your skin for up to 15 minutes. After your 15 minutes is up, simply rinse your face off with lukewarm water and pat dry. Need some me-time to indulge yourself? Book yourself a natural treatment at Pure natural salon ! Thanks for share, I will try this. Thank you Sila! would love to hear your experience with this mask!